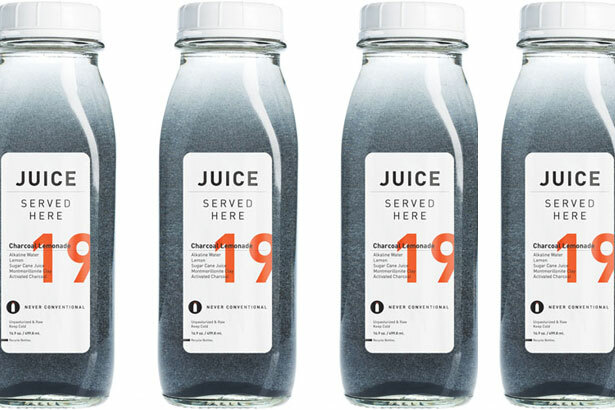 Forget about green juice; the latest brew to transfix the health set is activated charcoal. You read correctly. Charcoal. Luckily, the inky black stuff making its way into elixirs and juices isn’t the same charcoal you use for your backyard BBQ and you won’t taste or smell any of the flavors you’d typically associate with charcoal. The activated charcoal in question is made from insoluble carbonized wood and is then oxidized by steam or air at high temperatures. Leading the way in this new trend are L.A.-based Juices Served Here via its Charcoal Lemonade and Juice Generation, which will be launching three charcoal juices next month: Activated Lemonade for glowing skin, Activated Greens for anti-aging and Activated Proteins to help whiten teeth and mitigate bad breath. Before you gag at the thought of drinking black goo, the juices also contain lemons, spinach, kale, parsley, celery and apples, and are designed to be as easy to drink as your regular juice blend. Both Juice Generation and Juices Served Here recommend them for daily consumption. Meaning, like most wellness fads, it’s best to check with your doctor before diving in full throttle.